Solutions Review recently had the chance to sit down with Jeff McCullough, Vice President of Americas Partner Sales at NetApp. McCullough discussed the concept of digital transformation and how enterprises are adopting the tools and systems necessary to utilize their data to the fullest ability. Specifically, McCullough talks about businesses adopting cloud environments and programs and balancing them with their traditional on-premise infrastructure. This merger of both on-premise and cloud deployments allows enterprises to leverage the amount of data they create and analyze on a daily basis. McCullough states that by 2022, the total market for digital transformation will increase to $6 trillion. Enterprises are certainly interested in applying new, innovative technologies to their infrastructure, including artificial intelligence and machine learning. Companies have begun to understand that digital solutions can help them provide the tools they need to handle their data needs. However, the challenge that many enterprises face is knowing how and when to implement a cloud solution. 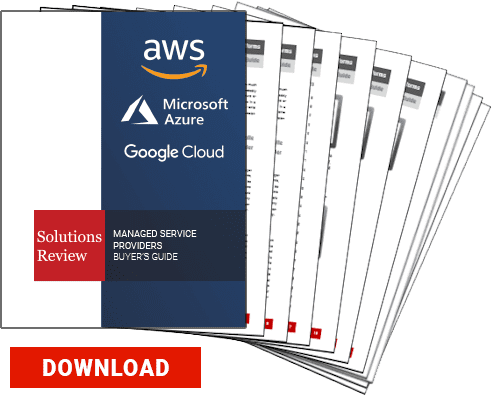 While the cloud is flexible and can perform several business-critical tasks, companies may not know what the best applications of the cloud for them are. They may want to adopt all the latest technologies, but many of those tech solutions are still in their early stages. McCullough brings up AI as an example, citing it as an emerging technologies that enterprises are already taking advantage of. Companies like NetApp help businesses discover the right digital transformation strategy for them in order to let enterprises intelligently adopt the cloud and future technologies. You can watch the full video down below, or by clicking here. Solution Review’s YouTube channel features other interviews from professionals and experts in multiple technology categories, from data management to cybersecurity and beyond. You can visit that channel by clicking here, and subscribe if you want to see future content! Next Next post: Hybrid Multicloud: The Future of Cloud Computing?